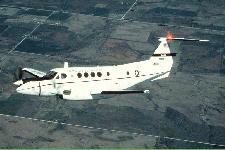 The C-12 Huron, a twin turboprop passenger and cargo aircraft, is the military version of the Beachcraft Super King Air. The C-12 aircraft, manufactured by Raytheon Aircraft Company (RAC) (formerly Beech Aircraft Corporation), is a high-performance, fixed-wing, T-tail, pressurized, twin engine turboprop that accommodates places for a pilot, co-pilot, and passengers. 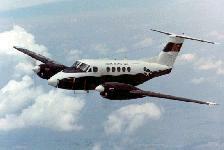 It is powered by two Pratt and Whitney PT6A-41/42/65 turbo prop engines. 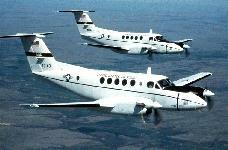 The Government�s C-12 aircraft fleet is similar to the Beech Super King Air 200 & 1900C, which is operated extensively around the world by many private and commercial users. 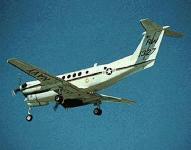 The aircraft provides operational support for military bases, sites, fleet and shore units. The C-12F can carry up to eight passengers and has a cargo capacity of 56 cubic feet. It can be used to transport patients on medical evacuation litters. There are 19 C-12Fs in the active duty Air Force. Delivery began in May 1984 and was completed by the end of that year. The Air Force acquired the C-12F at the direction of Congress to support the Defense Attach� and Security Assistance Offices. The aircraft provides on-call, rapid response, modern air transport for high priority supply and movement of key personnel. Specifically, it is used for VIP transport or to deliver repair parts; equipment; and technical, crash investigation, and accident investigation teams wherever needed. Its support role also includes such functions as range clearance, medical evacuation, administrative movement of personnel, transportation connections, and courier flights. The support concept is total contractor support wherein a commercial Contractor provides all FAA approved maintenance and material support. The contractor is solely responsible for all materials (including acquisition, storage, configuration, repair, packaging, and shipping) until they are consumed in support of the aircraft. 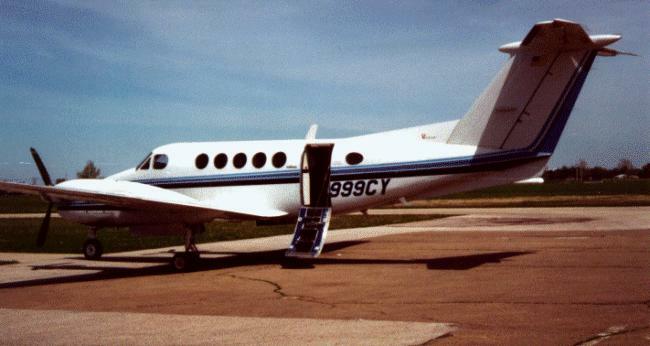 The Contractor also provides other maintenance functions such as: crash damage repair; engine repair/overhaul; propeller repair/overhaul; and airframe and avionics overhaul, repair, and modification. 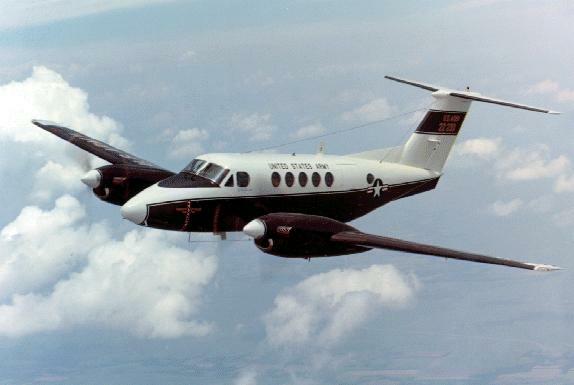 Aircraft modification efforts are "turnkey" projects (procurement and installation) implemented as part of competitively awarded maintenance contracts. 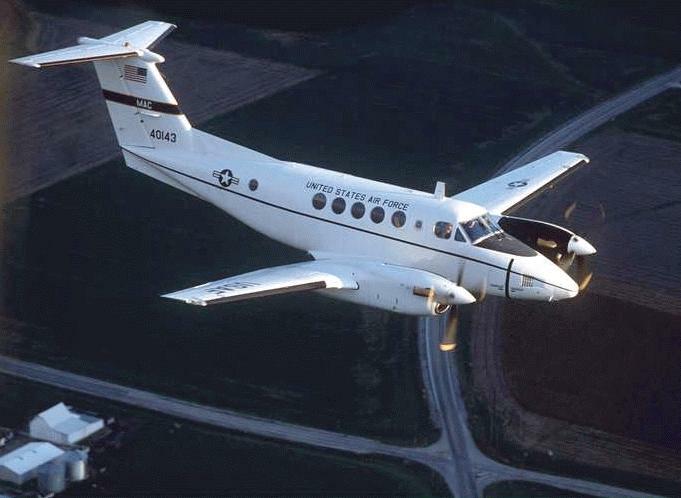 Where extensive integration efforts are required, the non-recurring engineering phase, including test and certification, is typically performed by the aircraft OEM under a sole source engineering contract with the Navy.